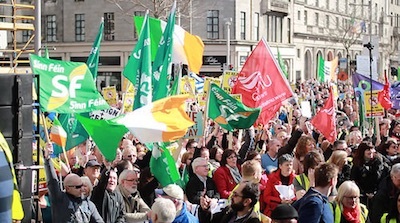 Just under 90,000 people marched in Dublin on Saturday in the latest anti-austerity protest against the 26 County government’s new water charges as a scandal over the operation of Irish Water, the new national water board, has expanded. 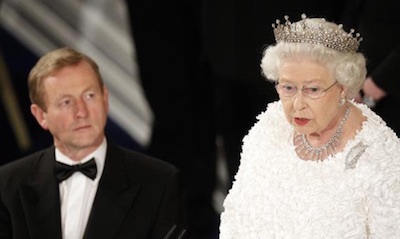 British Prime Minister David Cameron has threatened to identify leading republicans who received British royal pardons following a furore over the revelation that senior Sinn Fein politician Gerry Kelly received a pardon in the 1980s. 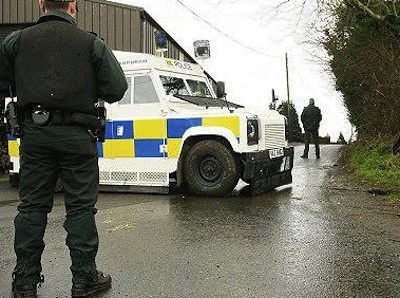 A single gang of unionist paramilitaries is thought to be behind a murder and a spate of shooting and beatings across the North Antrim and Coleraine areas. 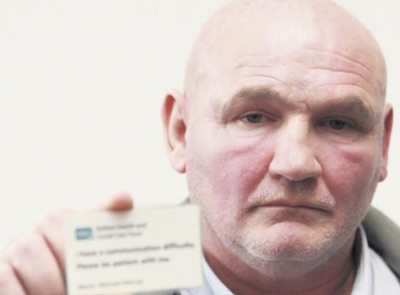 A former republican prisoner who suffers from a severe speech impediment is afraid to leave his Belfast home because of constant harassment by the PSNI police. 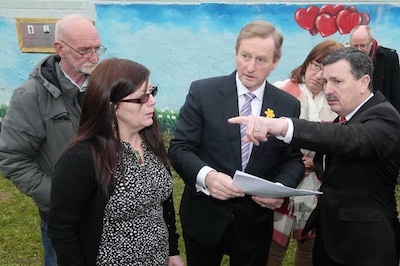 The families of 10 innocent civilians killed in the 1971 Ballymurphy massacre have described a meeting with Taoiseach Enda Kenny this week as a “positive move forward”. 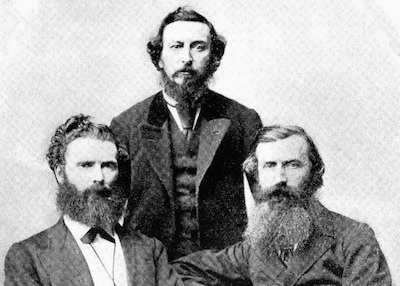 A secret British army undercover unit may be redeployed to Ireland in the run-up to the centenary of the 1916 Rising, according to reports. 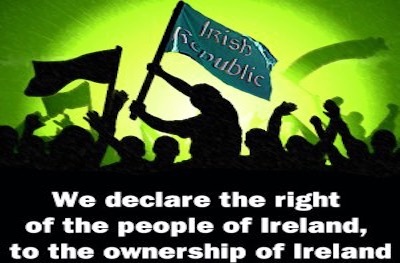 A round up of Easter commemorative events by republican organisations this year. 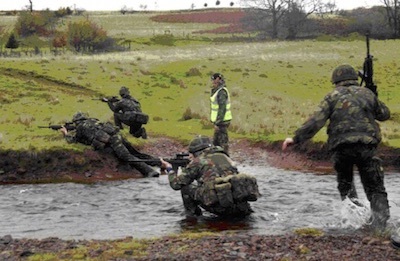 Please check locally for more information. 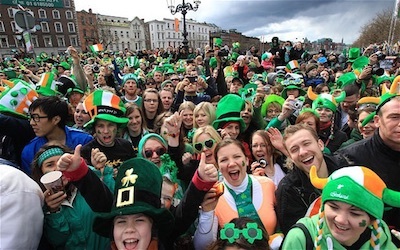 UPDATED April 3rd. 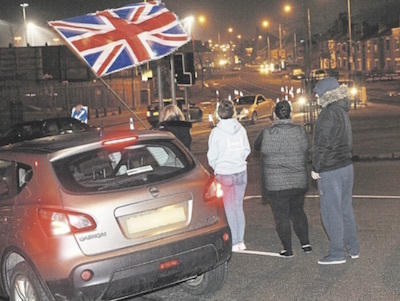 There were only relatively minor incidents in Belfast on Tuesday after a loyalist flag protest outside Belfast City Hall was held as thousands gathered to celebrate the feast day of Ireland’s patron saint. 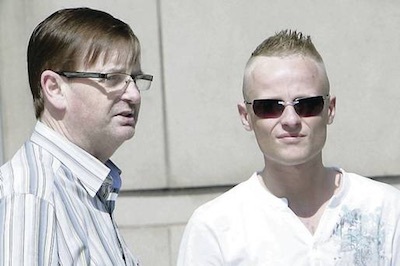 Republican prisoners in Maghaberry jail have condemned the arrest and interrogation of five of their number. 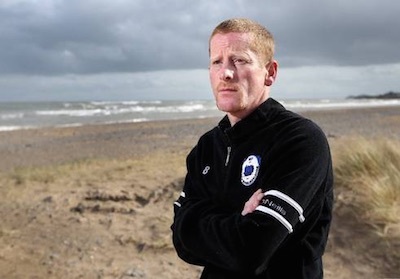 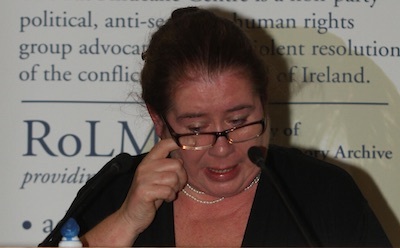 There has been “dishonourable silence” from the British government on evidence of deep collusion between the British forces in Ireland and unionist paramilitaries during the conflict, an Irish human rights researcher author has told a US congressional panel. 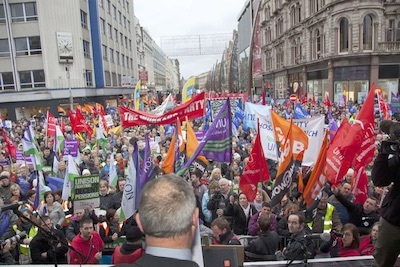 Tens of thousands are preparing to march in Dublin today in the latest anti-austerity protest. 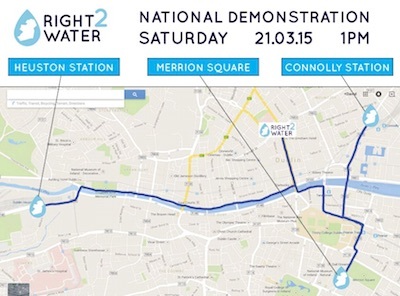 Three separate marches, highlighting the impact of austerity and the new tax on tap water, are planned for Saturday afternoon. 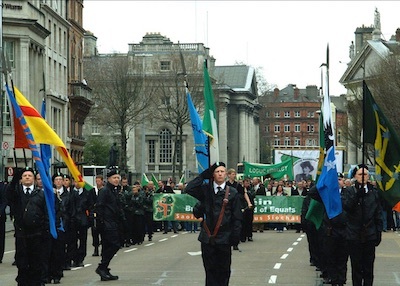 A sectarian parade through Dublin has been cancelled after organisers claimed the Dublin government is preparing to hand over files to an inquest. 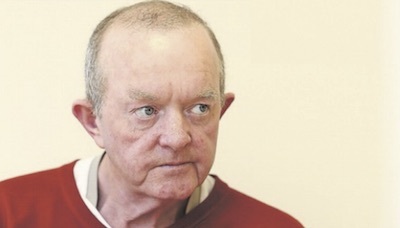 A researcher at Amnesty International recalls Gerry McKerr, one of the Hooded Men, who passed away this week as his case against torture continues before the European Court of Human Rights. 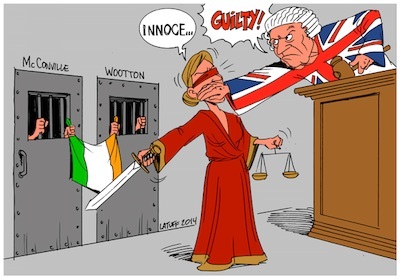 The emergence of a second historical case in which a teenager was allegedly abused by an IRA member has reignited a controversy begun six months ago over Sinn Fein’s handling of such matters. 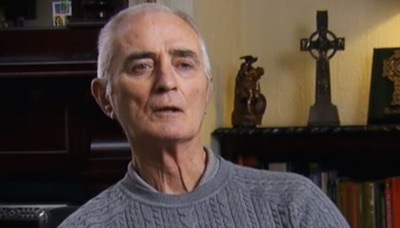 Former Ulster Unionist leader Jim Molyneaux died on Monday at the age of 94. 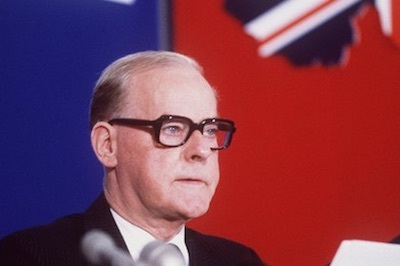 A deeply conservative Orangeman, he led the party from 1979 until 1995. 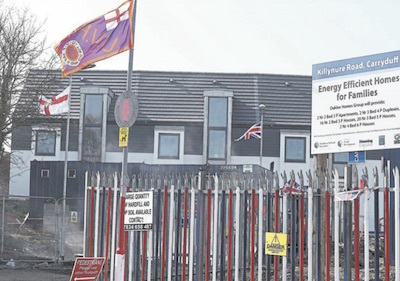 A plan by the Orange Order for orchestrated street disturbances in north Belfast has raised fears of a renewal of conflict in the area. 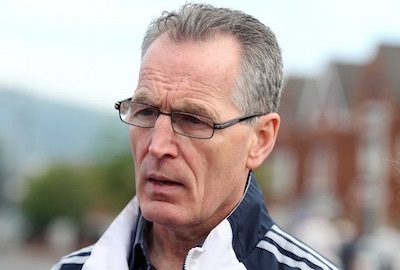 The British Crown forces in the north of Ireland have for the first time admitted collusion with a notorious loyalist killer in the unionist paramilitary UVF. 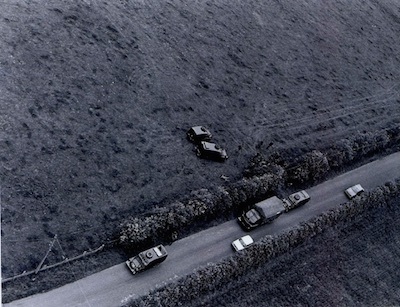 The family of a man with special needs who was shot dead by the British Army in 1974 have said they have no faith in a re-opened police investigation by the PSNI’s ‘Legacy Investigation Branch’. 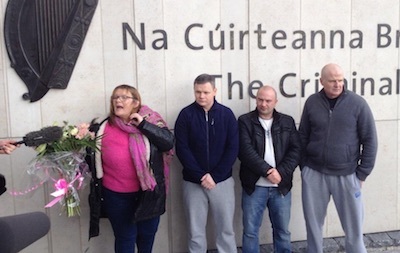 The President of the High Court in Dublin has this afternoon directed the immediate release of four anti-water charges protesters over a technicality regarding the manner of their committal. 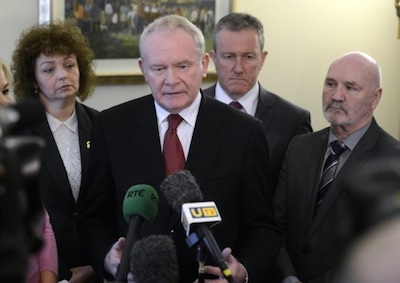 In a dramatic turnaround, Sinn Fein has said it will seek to block the welfare bill, a key element of the Stormont House Agreement, after accusing the DUP of acting in bad faith on the issue. 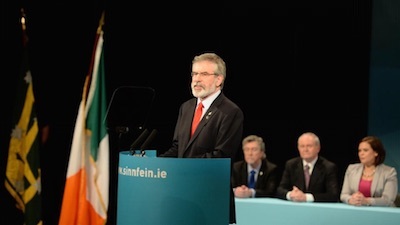 The Presidential address by Sinn Féin leader Gerry Adams at his party's annual conference in Derry this weekend. 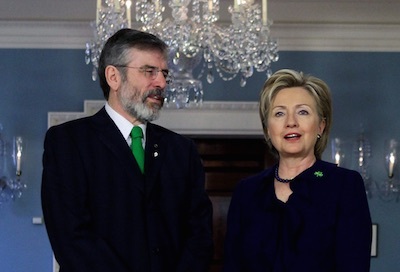 Sinn Fein has categorically ruled out joining a coalition government in Dublin as junior partner after elections due early next year. 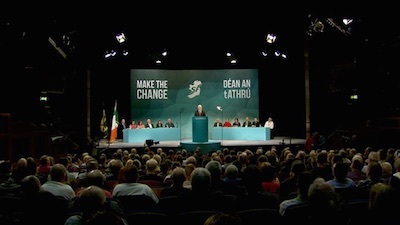 The party is holding its Ard Fheis (annual conference) in Derry this weekend. 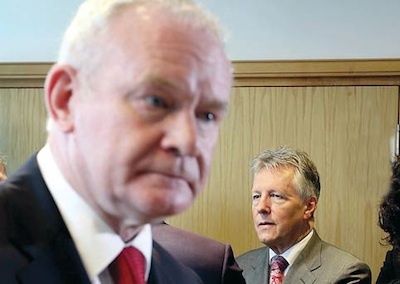 Catholics are leaving the PSNI police in numbers and fewer are applying to join, new figures have shown. 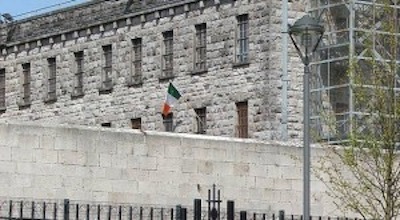 A statement by republican prisoners at Portlaoise jail in the Irish midlands has warned of a deteriorating situation there. 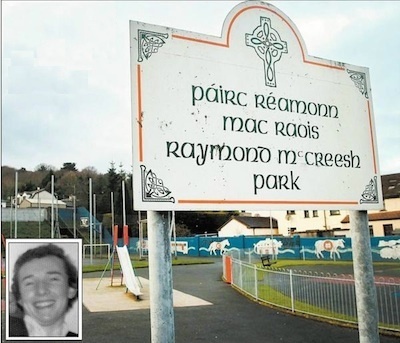 A play park in Newry has been held up by unionists as a symbol of ‘Sinn Fein intransigence’ after the party blocked a new attempt to change its name. 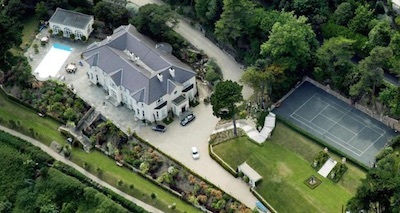 A media circus in south county Dublin has highlighted the efforts of Ireland’s super-rich to defy legal moves to seize their assets. 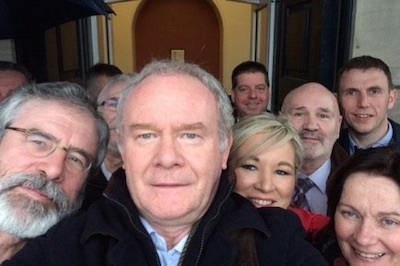 A Sinn Fein member of the European Parliament is refusing to speak any language other than her native Gaelic, in protest at the European Union’s failure to fulfil its designation of Irish as a full official language of the EU. 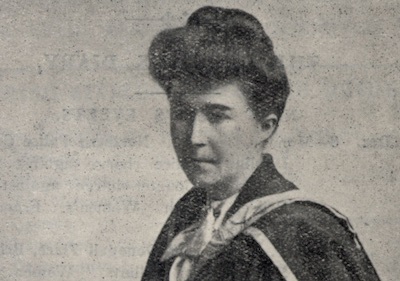 Hanna Sheehy-Skeffington devoted most of her life to campaigning for the rights of women and Ireland’s independence.